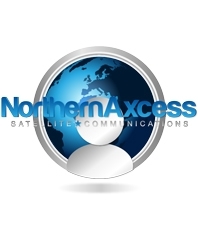 NorthernAxcess.com is a refreshing change of pace when it comes to satellite communication providers. Ultimately NorthernAxcess provides you with communication where there is no regular cellular coverage, in emergency times when all cell coverage goes down, or in areas where using something like a satellite phone is cheaper than paying for the roaming charges on a cellular network. NorthernAxcess provides satellite communication equipment for all networks like Iridium, Inmarsat, Thuraya, and Globalstar, such as; Satellite Phones, Satellite Internet Terminals, Satellite Airtime Services, Satellite Tracking, and Fleet Management equipment, Short Burst Data, or M2M Devices, and the all new line of Satellite Wifi Hotspots for smartphones, and tablets like, the new Iridium GO!, and the 3G high-speed iSavi that works on the Inmarsat IsatHub Service. NorthernAxcess provides other quality services that make them stand out from the rest, like their very well known Satellite Phone, and BGAN Service , and Repair Centre, their Product Protection Shield, their installation network throughout the USA, their satellite phone and BGAN buy-back, and upgrade program, and leasing options. However the thing they are known for the most is the quality they put into the support, and care of helping their clients fully understand what they need. NorthernAxcess was formed by a group of satellite communication technicians, and specialists of many years, that decided to make satellite communications more understood, and more fun. Satellite technology has been around for many years, but very few people actually know the things that can be accomplished with the many devices , and solutions that the satellite industry provide, and NorthernAxcess is determined to help educate their clients, and assist in taking satellite communications in to the next generation, that will one day merge all of our smart devices with satellite technology.